BKL, Inc. provides architectural, transportation, civil and structural engineering services, as well as construction management, throughout the State of Oklahoma. From interstate highways and turnpikes to county roads and city streets, BKL will design the right transportation solution to fit your specific needs. BKL delivers award-winning and functional architectural designs while maintaining a sensitivity to budgetary constraints. In addition to providing in-house support for our architectural projects, BKL's Engineering team offers a wide variety of civil and structural engineering services. BKL combines experience and expertise with flexibility, value and personal service. 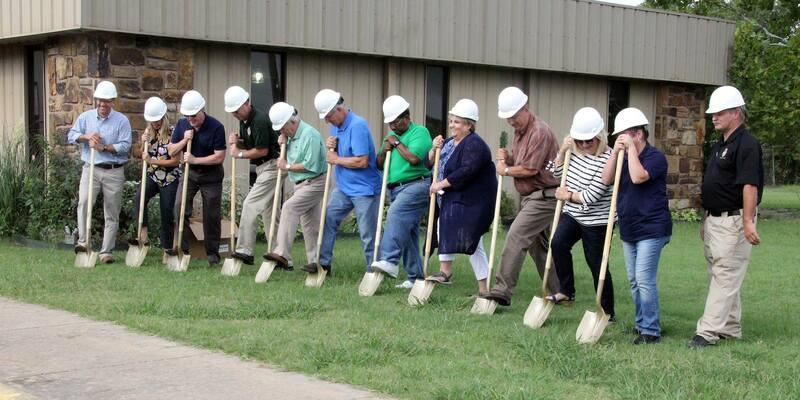 Congratulations: to the City of Sapulpa on the August 29th groundbreaking for the new animal shelter! We are honored to be a part of this improvement that is so important to the Sapulpa community. BKL is proud to announce that: Jenni Hammock has obtained the title of LICENSED ARCHITECT! 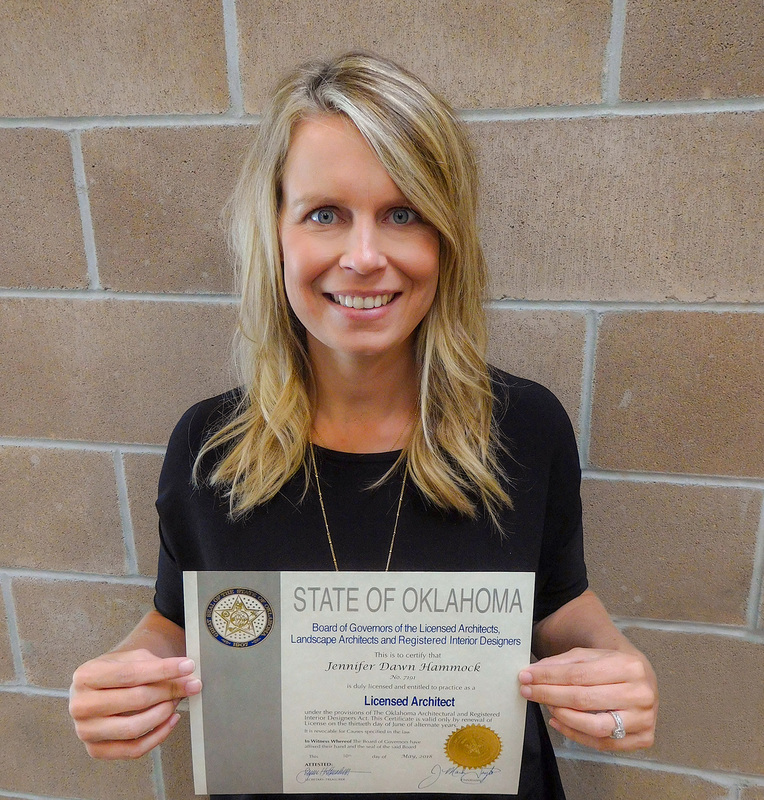 We congratulate Jenni on completing her internship, passing her exams and receiving her license to practice in the state of Oklahoma and we are excited about her future with BKL. This accomplishment is made more impressive because she achieved it while raising one young boy and giving birth to another. Jenni, we salute your drive, ability, and talent. 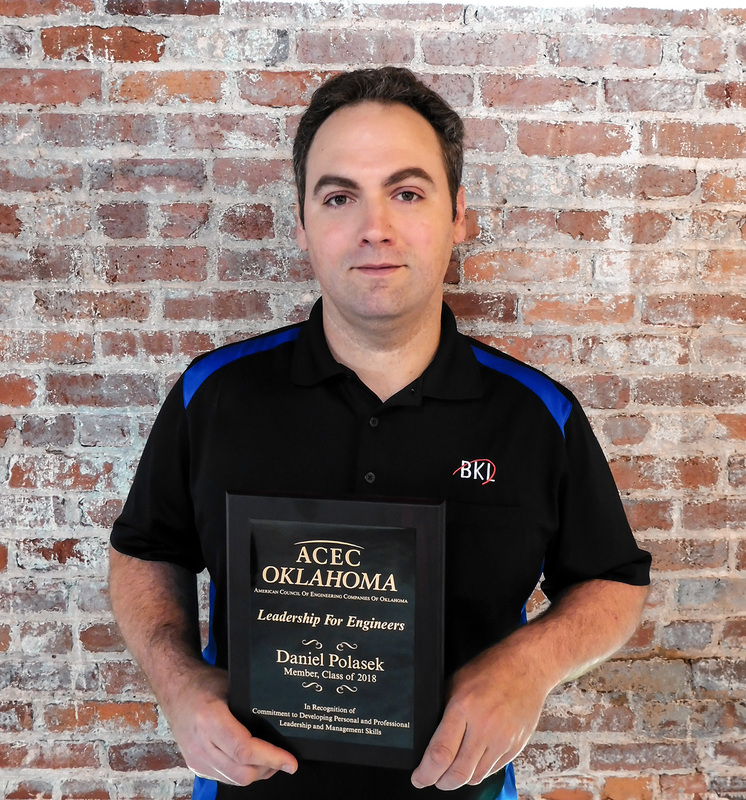 We are proud to accept Daniel as an emerging leader of BKL!